Just before last Thanksgiving, a Vermont family lost their son, a patient at the renowned Menninger Clinic in Houston, to suicide. A.G. was 25 years old when his parents sent him to Menninger after he had presented at acute risk of suicide. After a few weeks in care, his parents told his doctor he wasn’t getting better – that on the phone, he sounded more hopeless than ever. The psychiatrist assured them that the facility was doing everything possible to help him. One day later, even though his condition had clearly not improved, the facility allowed A. G. to go to a restaurant with other patients. While at dinner, he stood up, asked to use the bathroom, left the table – unsupervised and unaccompanied – and then walked out the back door. Seventeen hours later, he had died by suicide. A state investigation revealed what should have been obvious to Menninger staff: A. G. should never have been allowed to go into the community by himself. The clinic failed to meet its duty of care by not doing enough to protect him. But the results of that investigation were not made public. That’s because The Menninger Clinic, like most other inpatient facilities in Texas, is protected by an unintended consequence of a 1999 law. The law at the center of the issue, which went into effect on September 1, 1999, was intended to give subpoena powers to state licensing boards that oversee medical providers such as family therapists and dietitians and was created at the request of the Texas Department of Health. The Texas Hospital Association, an organization that represents hospitals and healthcare providers statewide, requested an amendment requiring those investigations to be secret. Former state Rep. Patricia Gray, who authored the law, has stated that she never intended the law to be used as it is applied today. The secrecy regulations serve only to protect the reputation of hospitals – at the expense of patients’ safety and families’ right to justice. At Menninger alone, at least four incidents in which patients died by suicide or made suicide attempts went unreported in the decade prior to A. G’s death. Had his parents had access to that information, they may not have decided to place him at a clinic 1,600 miles away from their home – a decision driven by the clinic’s sterling reputation that is protected by Texas law. His mother, D. L., herself a psychiatrist, spent days vetting the clinic and saw plenty of positive information, but none of the deadly safety concerns. And given that Menninger is a nationally known and well-funded facility, the risks to patients at other hospitals and clinics throughout Texas are likely even greater. “If these kinds of safety lapses are happening at the much-celebrated Menninger Clinic,” said inpatient suicide attorney Skip Simpson, “can you imagine what’s happening out of the public eye at facilities that operate on a fraction of their budget?” Skip knows too well how and why hospitals hide the ball from families—never disclosing to families how their loved ones died; especially in a place with one primary duty: to protect the patient. A touted reason behind not disclosing the facts to families about their loved one’s suicide is so staff and doctors can openly address their poor decisions—behind closed doors—with no one being blamed for the death. The proper purpose for studying hospital suicide is to employ the Stop-It-Next-Time rule. When a hospital, has something go wrong which allows a suicide, the hospital must investigate why – and then try to keep the same thing from going wrong and injuring someone again. Instead, hospitals are not learning—just hiding. Families learn nothing about the details of the suicide unless a lawsuit is filed. The truth is that so many families are left with unanswered questions; A. G.’s parents were explicitly told by a DSHS employee that the information they needed was in a report they would never see because of the state law. And this isn’t just a concern for a few families—it’s a major public health concern that puts thousands of patients in Texas and nationwide at risk. Families have a right to accurate safety information about the facilities they will entrust with their loved ones’ care. Dangerous clinics and hospitals must be held responsible for the injuries and deaths they cause. And that means critical information about tragedies such as A. G.’s death cannot be hidden behind a veil of secrecy, always serving the hospital and doctors but rarely the public. Patients, and the public, deserve better. Death by suicide is a substantial public health problem, as more than 40,000 Americans commit suicide every year. Unfortunately, the efforts being made to reduce the risk of suicide- including commitment of patients with suicidal ideation- do not seem to be effective. Increased efforts must be made both to prevent inpatient suicide and to reduce the chances of suicide among individuals experiencing mental health issues who have not been committed to an inpatient facility. 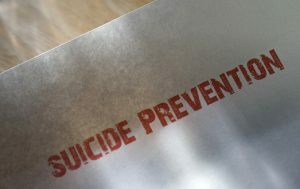 The Cap Times recently reported on the Zero Suicide movement, which is developing a new approach to suicide prevention. The goal of the movement is to lower the number of suicides to zero. The founders of the initiative believe it is possible to prevent every suicide where patients are in the care of health providers. At a two-day conference, the theory behind zero suicide was explained and a plan was outlined for preventing both inpatient and outpatient suicides within healthcare systems. The concern from one of the leaders of the Zero Suicide movement is the insufficient progress being made in controlling the growing number of deaths by suicide. As the rate of deaths by suicide climb, the responses of healthcare providers and healthcare facilities has been to make incremental change or to stay the course. This is clearly not having enough of an impact, as suicide rates continue to rise. The goal of Zero Suicide is to make wholesale change in order to ensure no person at risk of suicide goes untreated or uncared for. The focus is also on providing more comprehensive treatment, rather than just addressing depression, and on enlisting the broader community in an effort to help people who may be considering death by suicide. Community and health organizations can and should both play an important role in helping to reduce suicide, according to the theories of the Zero Suicide organization. The program was first started at a health system where the leader of Zero Suicide worked as a vice president. Suicide experts pushed back on the approach initially, arguing the goal of eliminating all suicides set the healthcare organization up for failure. Despite the criticisms on the part of suicide experts, the healthcare center overhauled its systems of patient feedback, made timely access to care a priority, and demanded a complete modification of cognitive behavior therapy methods across all departments. It became the policy at the organization to ask the patient if they had visualized death by suicide and to describe the method. The family and patient were then told they should remove the means which would make it possible for the patient to suicide using this desired method. This became a surprisingly effective deterrent. With the efforts made by the health center, there was an 80 percent reduction in patient suicides over 10 years and there was one year in which no deaths by suicide happened. The airline industry has a good handle on safe flying because it thinks about ways the system could fail and corrects the problem before it happens; the health care industry, on the other hand, does not have a black-box mentality; instead the healthcare industry evades, covers up, and spins every failure it has. As a consequence hospital errors are now the third leading cause of death in America. The health care industry does not want the public to know this fact. Other health institutions may wish to consider following the lead of the Zero Suicide group and incorporating at least some of their techniques to try to bring down death rates. Providing mental health services is one of the most important roles a healthcare institution can fulfill, especially if a person is experiencing suicidal ideation. The right mental health care can save a life and can help to stabilize people with serious illnesses such as depression. Unfortunately, not all healthcare providers are capable of offering appropriate services to people experiencing mental illness. Part of the problem stems from disagreements over appropriate provision of care and the right methods to use for treating mental illness. WQAD recently reported, for example, on fights between hospitals over who is best capable of providing inpatient care and where the care should be provided. 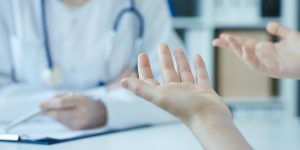 As hospitals and other healthcare service providers go back and forth on what help should be offered to patients, it is victims who often suffer because there is no clear plan for inpatient treatment which has been proven effective. WQAD reports a company called Strategic Behavior Health (SBH) is seeking to open a new mental health facility. SBH is already operating two psychiatric hospitals which treat patients using both inpatient and outpatient services, including a hospital called Peak View Behavioral Health. When SBH tried to open its third facility, the two largest local health systems objected. The local health systems, UnityPoint Health Trinity and Genesis Health System, argued SBH would cherry-pick patients who could pay the most and would make it harder for existing facilities to provide appropriate mental healthcare services. Local hospitals also believe inpatient care is outdated, while SBH agrees and asserts the benefits of inpatient treatment. In addition to concerns about the type of care and the cherry-picking of patients, there are also worries about whether there are enough doctors in the local area to provide staffing for all of the healthcare facilities who treat patients with mental illness. One advocacy group, for example, indicated the problem with providing healthcare services locally is not a shortage of psychiatric beds but is instead a shortage of qualified psychiatric professionals. Unfortunately, this disagreement means an inpatient facility which could provide important help in mental health care and suicide prevention may not be built or there may be a delay in building. 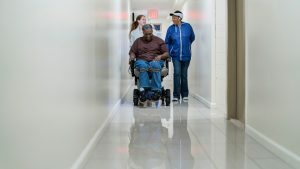 If there is a shortage of qualified caregivers, it also means facilities providing mental health services could be understaffed or unqualified staff members could be hired. When there is an inadequate level of staffing and/or staff members are not properly trained, patients will suffer. This is an especially big risk for patients who are receiving treatment for suicidal ideation because it will be necessary for these patients to be carefully monitored. 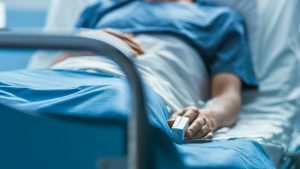 If an inpatient facility does not provide the supervision and help they need, the facility could be held accountable for malpractice if a patient is seriously injured or dies while receiving care. Can Inpatient Care for Mental Health Issues be Improved? A quarter of adults in the United States meet the criteria for a diagnosable mental illness. More than 1,069,000 people in the country attempted suicide in 2014 alone, according to the American Association of Suicidology. Americans spent as much as $69 billion on mental healthcare services back in 1999 and while there is no current accurate data, experts suspect the spending is significantly higher today than it was almost two decades ago. Unfortunately, despite the massive spending and the significant need for effective inpatient and outpatient treatment, the system designed to treat people with mental health issues is fraught with problems in the United States. Pacific Standard recently published an in-depth report of some of the issues with mental healthcare services in the United States. The report highlighted problems with inpatient care facilities in particular – and suggestions for positive change. Pacific Standard Magazine reported on one situation in which the mental health commissioner for the state of Virginia took a trip to an inpatient psychiatric care facility run by the state. The commissioner saw a facility which appeared very functional, as he saw impressive presentations and met with residents. However, the entire system seemed so perfect the commissioner suspected a Potemkin village had been constructed for his benefit. He was proved right when he dropped by unannounced several weeks later. Residents suffering from behavioral problems smelled of unwashed clothing and urine. Patients requiring intensive treatment were alone in rooms as staff members chatted with each other in hallways. Overmedicated patients were also everywhere, slouched on the couch in front of the television. When the commissioner tried to take steps to fix conditions, he discovered quickly there was little he could do to improve things and he also discovered similar problems existed nationwide in care facilities. He has since written a book focused on the problems with the mental healthcare system in America as well as focused on suggestions for making positive changes. Unfortunately, the problems he identified with inpatient care are only the tip of the iceberg when it comes to nationwide issues with mental health services. Some of the many issues include psychologists and psychiatrists relying on outdated treatments and insurers who refuse to pay for the care patients need. Less than 15 percent of mental health care consumers actually receive care based on evidence, and those who don’t can suffer greatly from ineffective treatments. When this poor care is provided to patients and suicide or other serious consequences result, it is important to pursue claims against those responsible to ensure there is at least accountability within the ineffective patchwork system for providing care. As the San Diego Tribune recently reported, suicide rates are high among veterans who have served in combat since the attacks on 9/11/01. Unfortunately, research into veteran suicides reveals that both the VA and civilian health institutions are not doing enough to help when veterans appear to be giving up on treatment or experiencing despair. In some cases, veterans in inpatient care are not even being provided with the minimum level of assistance they need. When someone is in a VA hospital or other treatment facility and there is a risk of death by suicide, steps need to be taken to ensure the person is properly monitored and an effective treatment plan is in place. When this does not happen and inpatient suicide occurs, the family members of the victim need to hold the institution and mental health professionals working at the institution accountable for their failures. This is especially true in situations where professionals who work with veterans regularly should be aware of signs of suicidal ideation and should ensure the proper healthcare is provided for patients who are receiving inpatient psychiatric care. According to the San Diego Tribune, one case which has spurred the VA to try to make some changes involved a 37-year-old Air Force Veteran who died by suicide at a local hospital within days of being released from a lockdown psychiatric hold. He had been released from lockdown even though he clearly was not yet ready for release, as he was still experiencing suicidal ideation. He was admitted to a drug rehabilitation program at the same hospital with the belief he would get further help in the rehab program. Unfortunately, he hanged himself in his room. Following this veteran’s death, the hospital decided to formalize the process of handoffs among inpatient units so staff members in different units would document that they had reviewed the patient’s case together and were aware of the risks. This is certainly a positive change: If veterans are to be released from one inpatient program to a different one when still at risk of suicide, extra precautions will need to be taken by new care providers to be watchful for continuing signs of suicidal ideation. Unfortunately, changing the process of handoffs may not be enough to stop the epidemic of veteran suicides. Paul Rieckhoff, the executive director of Iraq and Afghanistan Veterans of America believes the government is downplaying the severity of the suicide crisis, which is a major public health issue more resources are needed to address. He compared the failures to provide appropriate care to suicidal veterans to the lack of response in the early days of the AIDS crisis. The government has a responsibility to veterans, and the VA in particular has an obligation to make sure veterans are getting the care they need. Most importantly, facilities treating veterans must take seriously their duties to monitor and protect those who served, especially as suicide rates remain high. Mental health facilities have obligations to psychiatric patients to keep them safe, particularly when patients are on suicide watch and there is a risk of death by suicide. One of the duties in most facilities is simply to monitor patients who are at great risk to ensure they do not try to self-harm. If a hospital has failed in any of its obligations to patients and inpatient suicide occurs as a result of this failure, it is possible to take legal action against the facility. Hospitals can be held responsible for negligence in policies which lead to patients dying by suicide. 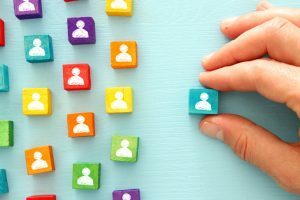 If staff members fail to fulfill the obligations imposed upon them by their jobs, mental health facilities can also be held accountable due to these on-duty errors or the negligence of staff members in fulfilling work tasks. 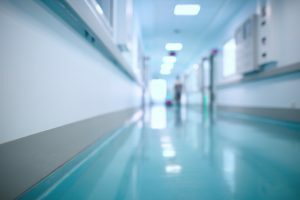 Hospital records and other internal evidence from mental health facilities can prove invaluable in determining if the facility has lived up to its obligations or not. 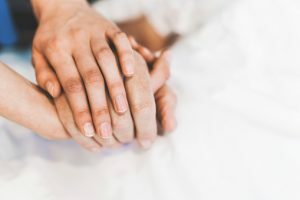 An experienced inpatient suicide lawyer can assist family members of patients who died by suicide in obtaining necessary records to help prove negligence. Naples News reported on one tragic case which illustrates how information a hospital collects can be used to help prove negligence after inpatient suicide occurs. The case involved the suicide of a 51-year-old man who was in a psychiatric inpatient hospital. The man had been admitted because of feelings of paranoia, hopelessness, and depression. His admissions paperwork indicated he had been having suicidal thoughts. During the time he was in the 103-bed facility, the 51-year-old man was quiet and didn’t participate in any activities or therapy sessions. Two days prior to his death, he asked to talk to a social worker and requested forms for a living will. The social worker didn’t ask the reason for this request, and did not report the request to anyone. The patient’s doctor indicates he would have put the patient on immediate suicide watch if he had been aware a request for a living will was made. Even though the patient was not on suicide watch, he was still supposed to be checked on every 15-minutes. Unfortunately, though written paperwork indicated these checks had happened, surveillance footage from the hospital shows there were two checks missed in a row. Neither a 9:15 and a 9:30 check happened. By 9:45, when the 51-year-old patient was finally checked on, the patient had gone into the bathroom and hanged himself with a tied-up hospital gown. There were numerous situations in this case where the hospital facility dropped the ball, from the social worker not reporting the living will to the 15-minute checks not being made. The surveillance evidence and the patient records including the living will help to show how the hospital facility fell short of its obligations. 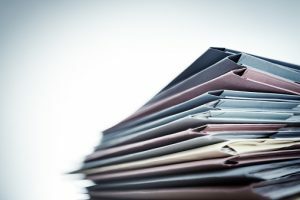 A suicide lawyer can help family members to obtain this type of evidence to prove a mental health facility should be held accountable for lapses. Facilities that provide inpatient care to patients experiencing mental health issues have a strong obligation to make sure patients are carefully monitored and appropriately treated to prevent an attempted suicide. When patients are depressed and experiencing suicidal ideation, it is especially imperative the institutions in charge of them take active steps to protect them. Sometimes, however, institutions fall short. One such institution, which tells patients to “expect a miracle” is considered one of the foremost rehabilitation centers in the country. The strong reputation and appealing promises made by the institution led one family to pay $64,800 to get care for a 55-year-old man who had been struggling with chronic depression. The man’s admission to the rehabilitation facility was his first time in a residential treatment center, although he had previously been hospitalized for mental health issues. Unfortunately, Tucson.com reports the man died by suicide while under the care of the rehabilitation center. In cases like this one, serious questions arise regarding whether the inpatient treatment center did enough to protect the residential patient or whether the center fell short. In this case, a lawsuit has been filed in response to the inpatient suicide, with family members claiming they were misled into thinking the patient would be safe and arguing the facility was negligent because staff members failed to notice the patient had not shown up for scheduled activities. Despite its promises of miracle cures, the facility has faced trouble in the past with actually living up to its promises. Five patients have died in the care of the facility since 2011, all of whom were men between the ages of 20 and 71. Three of the patients died of suicide, two hanging themselves with a shoelace and one hanging himself with a belt. Because of problems with the provision of patient care, the state Department of Health Services has been heavily monitoring its operations. The monitoring requirement was imposed because the rehab center was not following its own policies on keeping track of where its patients were. In the case of the 55-year-old suicide victim, for example, the man did not show up for any of the five activities he was scheduled to attend. He also missed appointments. When patients are 15 minutes late for an activity, staff members are supposed to look for them. Interviews with staff members, however, revealed no one looked for this man for hours, until it was too late. Staff members also confirmed they did not know who was responsible for taking attendance of patients, reporting when a patient was absent, and calling for the initiation of a search to locate the patient. It was especially important for the facility to take action here, as records show the suicide victim had described feelings of total helplessness and thoughts of suicide. Inpatient facilities are supposed to be operated specifically to protect patients like this when they offer care to those experiencing thoughts of suicide and they need to be held accountable when they fail in fulfilling obligations. Zero Suicide was outlined in the 2012 National Strategy for Suicide Prevention, and the website for Zero Suicide indicates the “foundational belief” of the project is: “that suicide deaths for individuals under care within health and behavioral health systems are preventable.” Essentially, this means individuals should not be falling through the cracks and the healthcare system should take a systematic approach to patient care to prevent death by suicide – all of them. When people with mental health issues seek treatment, care providers must recognize the dangers, be alert to signs of suicidal ideation, and take necessary steps to offer services designed to eliminate risk. If a mental health care provider fails in obligations and a patient dies by suicide, the care provider may be held legally liable for mental health malpractice for deciding not to follow the standard of care which contributed directly to the patient’s attempted suicide and/or death. States throughout the country are embracing the systematic approach of Zero Suicide, including New York. New York’s view is when suicide deaths occur, the fatalities are because of systemic failures- which are precisely the type of failures Zero Suicide is intended to stop from occurring. As part of a Suicide Prevention Initiative in NY, a plan has been put in place to improve the quality of behavioral healthcare and put an end to these systemic failures. Improving inpatient and outpatient care to reduce or eliminate suicide deaths in state-operated psychiatric service systems. Involving multiple parties and institutions, including local county leadership, residential care providers, inpatient and outpatient care providers, mental health professionals, and substance use care providers, in developing a comprehensive care and support network. Embedding suicide care in the major organizations serving youth across the state. Raising levels of staff support and surveying staff members in mental health facilities on their readiness to provide effective suicide prevention care. Assisting organizations in creating effective management practices aimed at achieving Zero Suicides through team-based care. In Zero Suicide approaches, suicide protocols should be incorporated within policies and procedures of healthcare facilities, and the suicide risk of all patients should be assessed. Suicide should be treated not as a symptom of a mental health disorder or substance abuse disorder but instead as a condition for which a patient receives direct treatment. When a suicide risk is identified in patients, a safety plan should be developed and regularly reviewed to reduce the risk of death by suicide and to ensure patients are provided with necessary support. Above all, clinical staff must be appropriately trained, must follow up with patients, and must ensure they are providing the level of care patients need to reduce risks. Over the past 18-months, there have been reports of a dozen cases involving suicide of white-collar workers who were employed by high profile financial firms at the time of their death. Overall, rates of death by suicide are generally lower among those with attained higher levels of education. However, depression can affect anyone no matter what his or her education levels and income bracket. Often, it is more difficult to recognize or respond to signs of suicidal ideation in those who appear, on paper, to have it all. This can make it more difficult to spot and prevent suicide risks among white collar workers and people in privileged positions. Mental health counselors should know of all signs of suicide in all patients, including those with good jobs and advanced levels of education—the so called VIP patient. When a mental health professional misses signs of suicidal behavior and death by suicide occurs, a suicide attorney should be consulted by surviving family members for assistance. The death of a white collar professional can have serious financial reverberations on family financial stability and mental health professionals should provide compensation to dependents if the negligence of mental health professionals played a role in causing the death by suicide. If clinicians are not familiar with the VIP risk factor, they need to get familiar ASAP. Why are More White Collar Workers at Risk of Death by Suicide? Market Watch discussed the recent spate of suicides among financial professionals and considered why suicide rates are rising among white collar workers. Studies have demonstrated doctors, dentists, financial workers, veterinarians, lawyers, and engineers are among the professions with suicide rates at least 1.5 times the suicide rates among the rest of the population . Physicians have a suicide rate 1.87 times higher than the rest of the population, and dentists have a suicide rate 1.67 times higher than average. A part of this may be explained by easier access to dangerous pharmaceuticals that could be used in a suicide attempt. Workers within these and other white collar professions may feel significant amount of career pressure. Many of the professions are highly competitive and workers within certain fields may have a particularly negative response to stress or to a crisis. While there has not been a clearly-established causal link between work pressure and higher risks of suicide for white collar professionals, it is possible the high levels of stress coupled with the intensive work environment are a contributing factor to more white collar workers taking their lives. Careers that are all-consuming may also isolate workers from family and friends, thus increasing the risk of death by suicide. A spokeswoman for the Centers for Disease Control and Prevention indicated the increased rate of suicide among individuals in these higher-profile and higher-paying careers is something which should be researched further. If a causal link is discovered between certain careers and an added risk of death by suicide, more actions can be taken to protect workers within that field. Suicide – a global problem – is one of the leading causes of death worldwide. As Quartz reports, more than 800,000 people throughout the world die by suicide each year and many millions more people attempt suicide. An experienced suicide attorney knows understanding the risk factors that can lead to suicide is vitally important to try to bring the death rate down. One of these risk factors relates to gender. In every country throughout the world, men are much more likely to die by suicide than women. In the United States, 32,055 males died by suicide in 2013, the last official figures. 9,094 females died by suicide for same time period. There were 3.5 deaths by suicide for each female death by suicide. This discrepancy of male versus female suicide rates is even larger in some countries. For example, in Lithuania, 49.5 men out of every 100,000 die by suicide compared to 8.4 females. There are many different factors that could help to explain why men are so much more likely to die by suicide. However, one medical professional from the University of Glasgow believes that a major contributing factor to the higher rates of male suicides is the phenomenon of social perfectionism. Despite an increased focus on equality of genders, the majority of men still believe that they must provide for their families and will consider themselves failures if they cannot do so. The perceived pressure to provide for a family is outside of a man’s control – he believes – and may be a conscious or subconscious pressure, but it is present even in societies where significant progress has been made toward making the genders more equal. Studies as recent as 2014 show that men still think that others will view them negatively if they are not able to make a good living. Understanding this intuitive phenomenon can help prevent death by suicide among men. 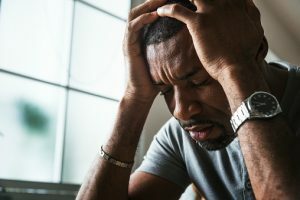 When men are experiencing periods of unemployment or are facing financial struggles, it will become even more important for family members and mental health professionals to be watchful for any signs of suicidal thoughts or behaviors. Men can and should be able to get help from mental health professionals in overcoming fear they will lose their manhood if they cannot earn a living as successfully as they had hoped. There is a catch: men are not as likely to seek any healthcare, let along mental health care because of stigma and macho attitudes. A suicide attorney at the Law Offices of Skip Simpson can help. Call (214) 618-8222 or visit www.skipsimpson.com to schedule a free case consultation. Serving clients throughout the United States.